Graduate from PayPal to ChargeKeep, the perfect PayPal alternative. Collecting payments from your customers is too important a task to use a tool stuck in 1999. ChargeKeep’s friendly design and ease of use will allow you to accomplish the things you struggle with in PayPal. Collecting payments from your customers shouldn’t be a clunky process, for them or for you. No PayPal account needed. 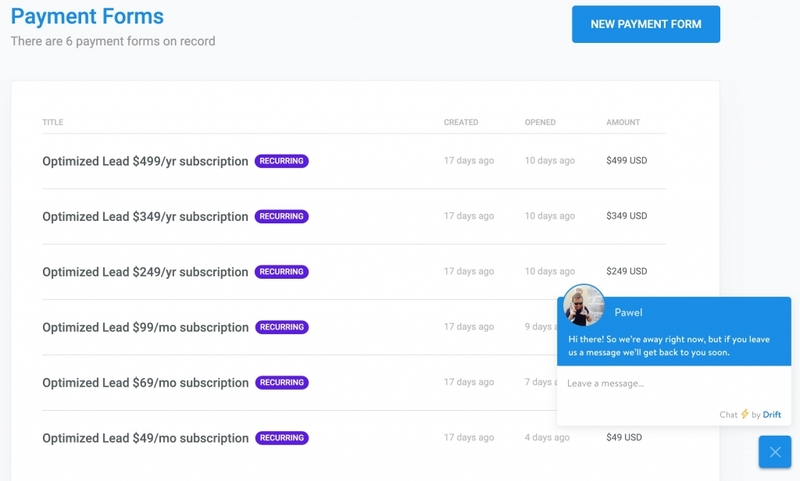 Take subscriptions without your customers having to open a PayPal account. Heard nightmare stories about PayPal withholding funds? You need a service which you can fully trust. Easy to implement, but flexible enough to do the tasks that PayPal can’t. With ChargeKeep’s flexible payment options, you can choose how customers pay you. Embed a payment form into your website or send customers a link to a payment page. Match payment forms to your brand. Change colors, add a logo, or get fancy with custom CSS. 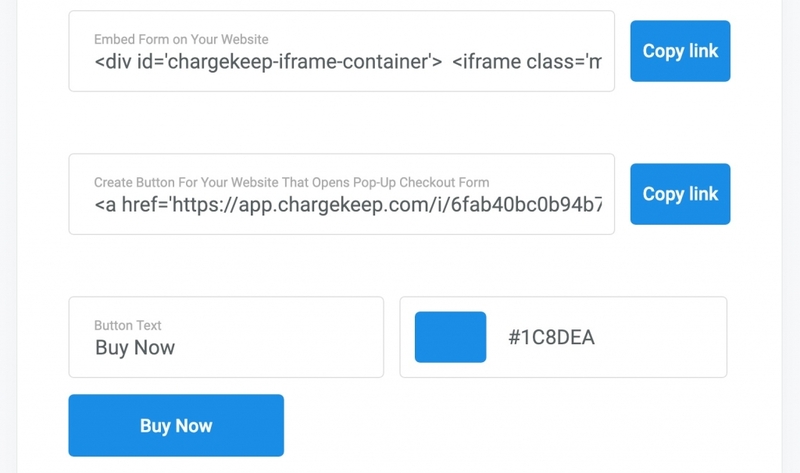 Flexible embed options allow you to either embed a form directly into your site or add a payment button that opens a pop-up payment form. Need to collect a payment quickly? Not a problem. Send your customer a link to a branded payment page. Ever tried emailing or calling a big company like PayPal to get a question answered or resolve an issue you’re having? Yeah, we have as well. And we both know what a horrible customer service experience that can be. That will never happen at ChargeKeep. Email or live chat with us anytime; we respond to emails under 2 hrs and our live chat is up for most of the day and even on weekends. Have a feature request? If it’s doable quickly, we’ll take a shot. Something bigger? We’ll let you know how we can fit it into our roadmap. Need help with figuring out how to use ChargeKeep in your business? No sweat. We’re familiar with a lot of use cases and can offer lots of useful advice. "I switched from PayPal to ChargeKeep and will never go back. 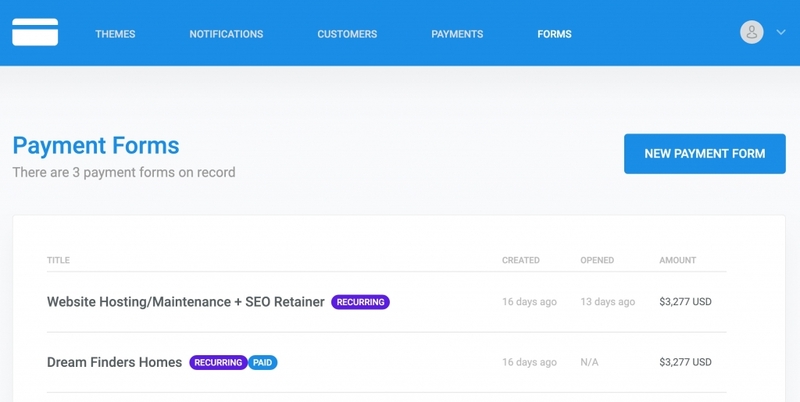 With ChargeKeep, I can embed the payment form into our website and it just looks more modern and polished than PayPal." Ready to automate your payments?